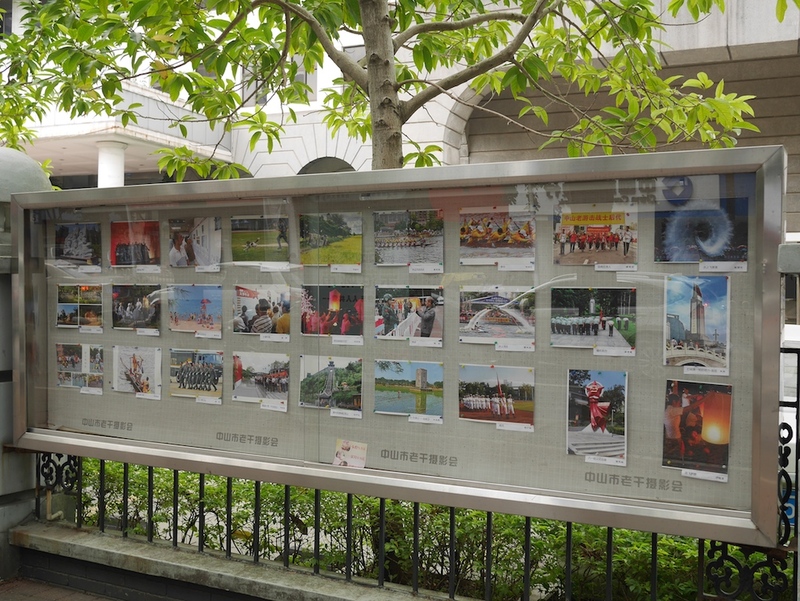 Next to the sidewalk on a gate near the Zhongshan Veteran Cadre Activities Center (山市老干部活动中心) in Zhongshan is a collection of photos posted by the Zhongshan Veteran Cadre Photography Association (中山市老干摄影会). Unsurprisingly, the photos appear to have been mostly, if not entirely, taken in Zhongshan. I found the photos intriguing for the glimpse they provided of what captures the interest of some people in the city. One photo especially caught my attention not just for the scene it captured but also because it raised questions in my mind about whether I would have taken it at a close distance, despite knowing I would have surely found the scene worthy of a photo. 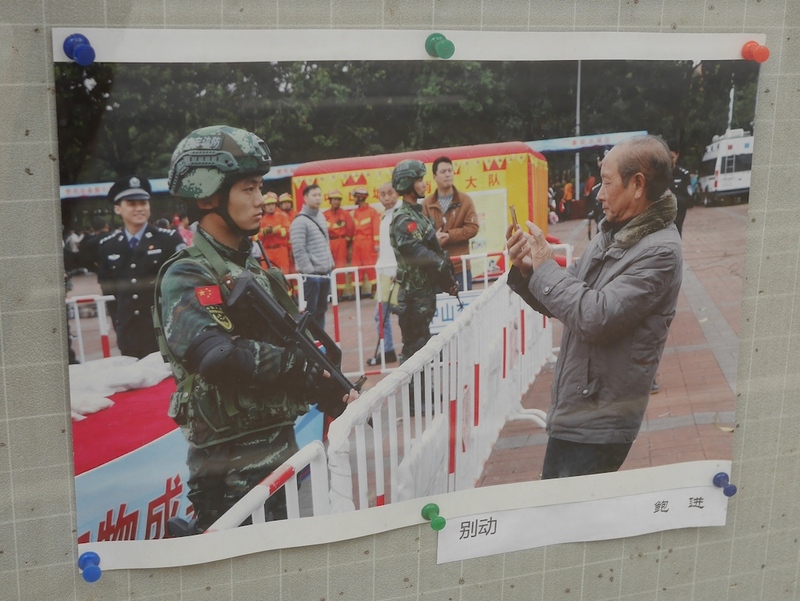 The photograph by Bao Jin (鲍进) is titled "Don't Move" ("别动") — fitting in multiple ways.